Getting ready for a move is not an easy task. It involves a series of important issues that needs to be focused. To end up in a successful journey, moving preparation is very vital. Stressful moment of relocation can be avoided by following three things 1.discover the purpose of journey 2.time management 3.carrying the essentials required. 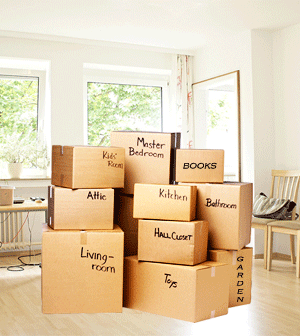 Moverrankings helps you to make your move easy by listing out the essentials to carry while moving. While moving from one place to another safeguarding our breakable items is a big issue. As some of the household utensils are highly fragile it is recommended to use spare card board boxes accompanied by packing tapes. The color coded packing tapes helps you to find out which box placed to be where. The packing tape dispenser is also very useful in reducing your packing efforts. When your fingers are accidentally stuck with the packing tape this dispenser enables to get rid of it. It is very important to keep the medicines handy. Do your best to avoid injuries and accidents. When you rush things only for the sake of speed, there are possibilities of meeting with unfortunate situations. Always be prepared for anything because mishaps are not rare occurrences on stressful moments. Your first aid box should contain all the essentials things that can be used to medicate the person as soon as he meets with an injury. Be aware of taking your regular prescribed medicines on the day of travel, so that you can enjoy your trip without any health issues. Don’t forget to take allergy medicines with you because you may come across allergic symptoms while travelling because of consuming unsuitable food items. The regular pain killers should also be given some space in your medicine box because it is equally important while travelling. Personal cleanliness is the first and foremost thing. You will never start a day without brushing or bathing. Personal care items makes you feel fresh for the entire day, so paramount importance should be given in accessing these things. Last minute preparation has the possibilities of missing your regular toilet soap, tooth brush, tooth paste etc. We may feel uncomfortable using different brand which we are not used to, so ensure to fit these things in your bag. To stay connected with the movers; carrying laptops, mobile phones and tablets with internet access is very essential. When the power supply is not handy, batteries are the suitable alternative replacement. Capturing the memorable moments is invaluable; camera lends the helping hand for this. Just don’t forget to carry chargers of the essential electronics since you feel frustrated when the battery is down, while you are searching for any important information. A multi functional tool always ranks first on the day of travel. The Swiss army knife is a very compact tool and can be carried even in the shirt pocket. It serves you for different purposes. Many tasks are very difficult without this simple tool. Cutting and wrapping are unavoidable in any type of travel, it is always recommended to carry a pair of scissors. Traveling during daytime is not an issue as you have enough amount of brightness which helps you to get clear vision. But if it is a humid day or night, your vision may not be so clear. Therefore, for such situations, a flash light fulfills its sole purpose of providing light. It is advisable to carry a can opener and a bottle opener as we always opt for soft drinks and energy drinks during travel. A travel without money is highly impossible. Don’t rely completely on credit cards since you cannot use it for all the cases. The habit of using liquid cash helps you to grab a quick meal, to pay movers and the transportation company which you are using while your journey. If you are going to accompany your children, their safety and well being should be given great concern and regards. Assign separate person to have keen look at them as you always cannot go behind them. To keep your little ones engaged and to relieve them from stress, carry their favorite pastime items such as comic books, play boards, rhymes CD’S etc. Great care should be taken while accompanying them in order to avoid the probability of getting lost. Usually we feel exhaust and tired during travel. Healthy snacks and energy bars act as the refreshment factor. Be cautious while taking outside foods. To stay healthy, avoid street food and drinks. Bottled water should be taken during summer travel. A homemade sandwich with leafy vegetables helps you to feel energized so that you can carry your work efficiently. It is always a good habit to keep the place neat and tidy where ever we go. Throwing things on the floor or road after using, is something that is against the civic sense. Equip yourselves with the cleaning supplies. Trash bags are supplied to fill the garbage and make the place as a litter free zone. The unwanted stains in clothes and other materials must be removed as soon as possible. All purpose cleaning solution serves well for this purpose. A clean surface could be obtained by a simple wipe with this solution. Never forget to take Shoe polish; it plays a dominant role in giving a shining appearance to your shoe. Prepare a self check list that makes you reliable of all your belongings without forgetting it. Double check the required essential things to ensure nothing is left accidentally. This entry was posted in moving Services and tagged Movers News, moving checklist by moverrankings. Bookmark the permalink.